Q: I’m building a wet bar in my basement and would like a bar faucet with a lot of options so I can multitask when I am behind the bar. I also want to wash glasses at the bar. Do they make bar faucets with pullout spray heads? A: In many cases, a bar faucet can look like a mini-kitchen faucet. 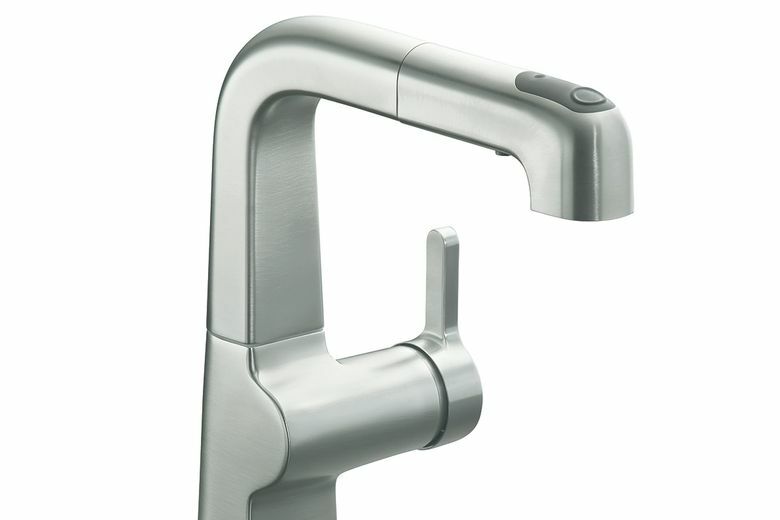 This means bar-faucet features can include options like one-handle operation and a pullout spray head. Some manufacturers even offer “faucet families” — basically a standard kitchen faucet sold with an exact copy of a smaller bar faucet. This way if you have an island sink in the kitchen, the bar faucet and kitchen faucet perfectly match. So, I recommend finding a pullout bar faucet with a pause feature on the spray head. Remember, it’s called a bar faucet for a reason, and a little extra water-flow control can help you use it responsibly.